Monrovia, 10th October 2017. Liberian voters turned out in large numbers to elect their new president and parliamentarians on Tuesday, October 10, with the Head of ECOWAS 71-member Election Observation Mission John Mahama appealing for calm as the vote kicked off to a slow start. 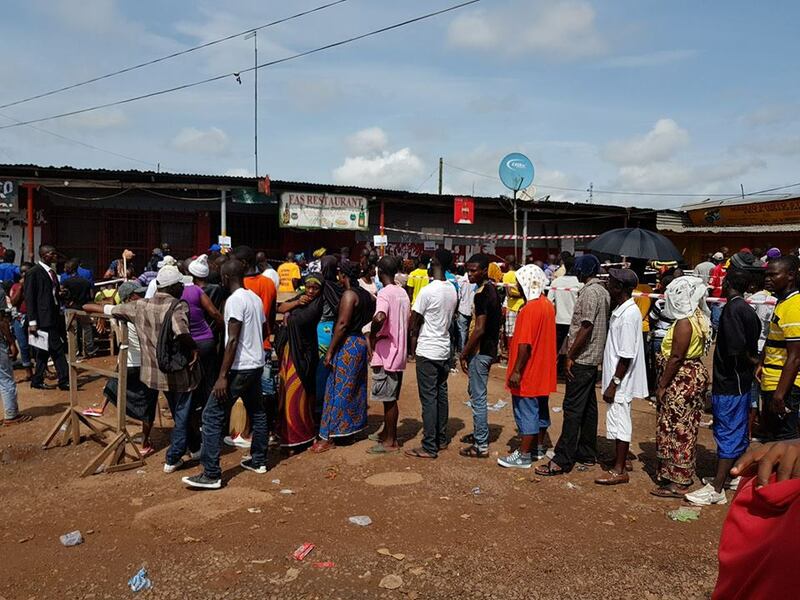 “In the areas visited, we observed that the process is slow with long queues and voting starting around 8.30 am, (30 minutes behind schedule) at some stations, and some potential voters not finding their names on the voters’ list,” Mahama said. 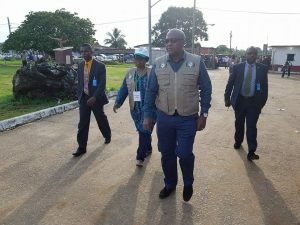 However, the Head of ECOWAS Mission, who set out before the opening of polls by 8 am, and had visited four voting precincts in the Montserrado and Margibi Districts by 12.20pm, explained that the process was picking up gradually with more than 100 voters having cast their ballots in some stations out of an average of 500 registered voters per polling station. The Head of Mission, who was accompanied on the tour by the ECOWAS Political Affairs, Peace and Security Mrs Halima Ahmed and the Director of Political Affairs Dr Remi Ajibewa, expressed the hope that more voters would have been able to cast their ballots by the close of voting at 6 pm. The Voting Precincts visited included those at the William Tubman High School, Sinkor, Monrovia, the Booker T. Washington Institute at Kakata, and the Carvers Mission Academy in Margibi. The ECOWAS Commission President Marcel de Souza, the ECOWAS Resident Representative in Liberia Ambassador Babatunde Ajisomo and Prof. Mahmood Yakubu, President of the ECOWAS Network of Electoral Commissions (ECONEC) and Chair of Nigeria’s Independent National Electoral Commission (INEC), were also on the field observing the balloting in different Districts in the Montserrado County. Each polling station had agents of political parties monitoring the voting with security personnel also in place. 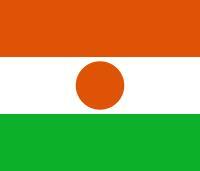 Other ECOWAS Long- and Short-Term observers were following the electoral process in Liberia’s 14 other Counties. 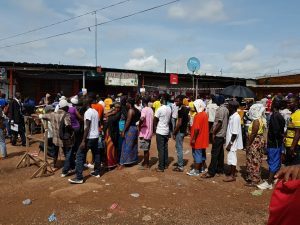 Liberia has an estimated population of 4.5 million and the National elections Commission (NEC) registered some 2.18 million voters who are casting their bolts to elect the country’s 25th president and MPs.